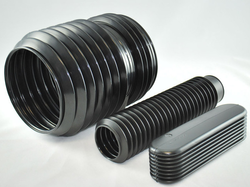 We are the leading manufacturer of a comprehensive range of Plastic Bellows. - Dave technical services offers wide range of plastic bellows, developed as per your cad design / drawings / sample. - The bellows action can have varying flexibility from very soft, flexible soft to rigid & Semi-rigid per your application requirements. We manufacture the best range of PTFE Bellows using best quality materials and ingredients. We manufacture the products in our unit using latest machines and tools. Our experts test the products and offer them at affordable prices. This medium sized PV bello is manufactured using latest technology and features smooth operation & low maintenance. Bellows are made of pure virgin PTFE (Polytetraflouroethylene). Paste extruded and contour molded material. This manufacturing method guarantees an excellent structure of the material; symptoms of aging are practically excluded. Very long-term durability and low maintenance costs are assured. As a renowned organization, we are engaged in manufacturing and supplying a wide range of Plastic Bellow. These products are made up of high quality raw material bought from the reliable vendors of the industry. 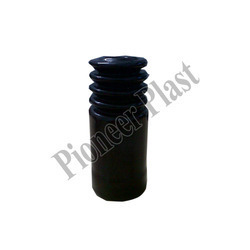 We are amongst the reputed organizations, highly engaged in offering an optimum quality range of Plastic Suction Bellow.